Amethyst is one of the most recognized forms of quartz. Natural amethyst ranges in color from pale pink to dark violet. The color is caused by naturally irradiated iron replacing some silicon atoms in the crystal lattice structure. Applying additional heat to the mineral produces even more colors, like green, yellow and red. 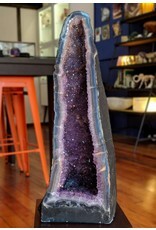 All amethyst from Brazil is found in vugs and geodes. This amethyst vug was created by water vapor and other gases that were trapped inside lava. The lava cooled to become basalt. The trapped water vapor condensed to hot water, and dissolved silicon dioxide, potassium, aluminum, iron and other minerals. 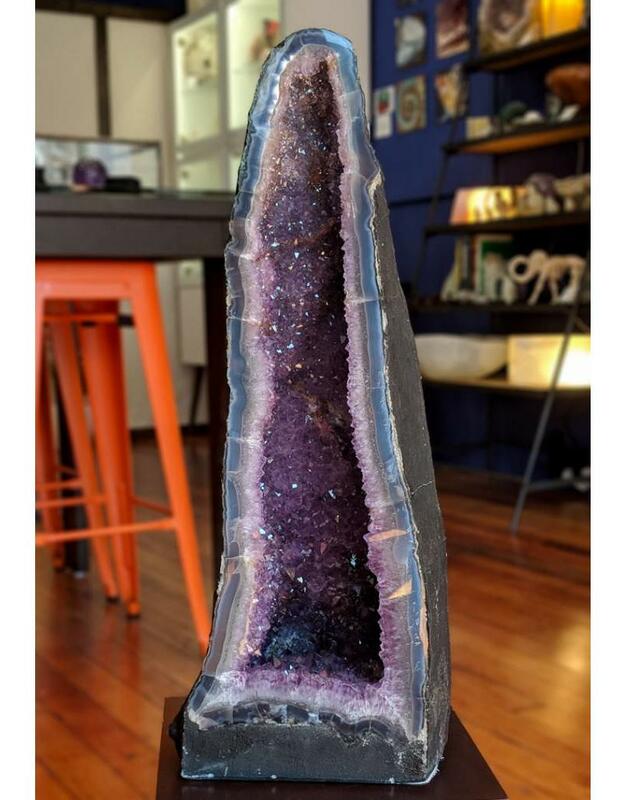 Over millions of years, minerals precipitated out of the water solution, and more minerals were contributed for crystal formation by water seeping into the cavity. 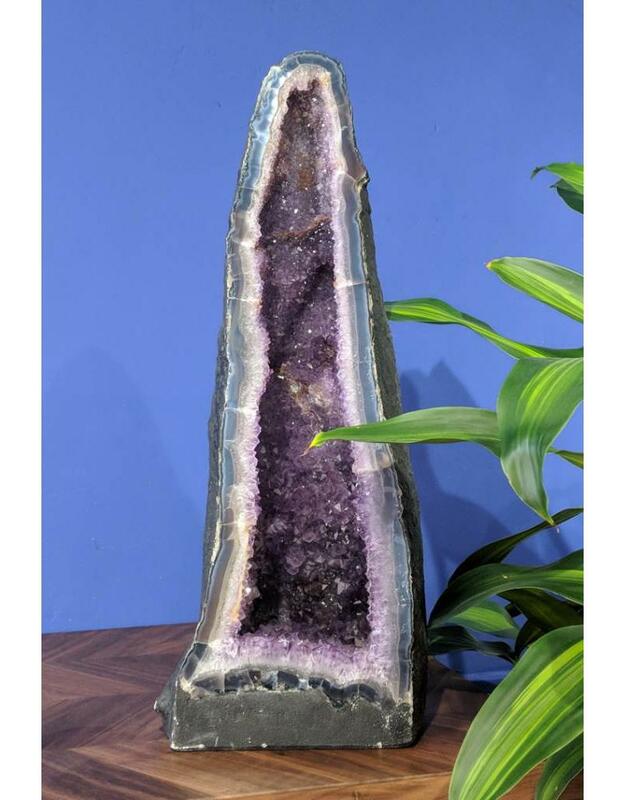 First, green celadonite lined the cavity's walls, followed by chalcedony and quartz crystals, and finally amethyst crystals. After the vug was found, it was mounted on concrete for stabilization and a pleasing "cathedral" look, and given a layer of celadonite paint on the exterior back to give the vug and concrete a unified look. 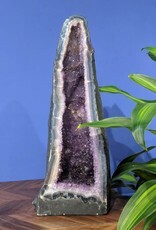 This amethyst vug is 65x25x22cm and weighs 29kg.